​Why is it that people get less annoyed by Asians being whitewashed? A lot of websites, both big and small are doing their end of year lists such as the best games, the worst events and of course, best and worse movies. Exodus is rightfully getting placed a lot in the worst of for being boring, redundant and most notoriously, the whitewashing. 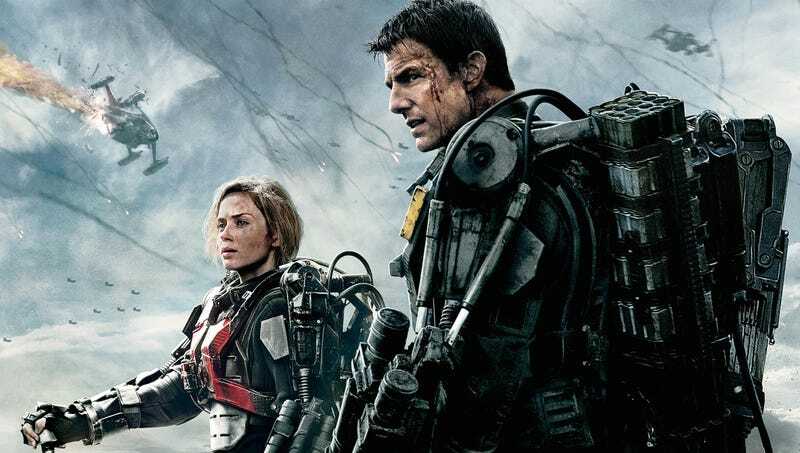 However, the Edge of Tomorrow is appearing on the best of lists (especially in more sci-fi orientated lists) despite the fact it is also very guilty of the exact same thing. Yet, barely any mention of its whitewashing has been discussed or even mentioned. Why is that? One thing could be that because the group getting whitewashed in this case are Asians, which people seem to care a whole lot less about which is kind of disturbing. Hollywood has (and still does) have a very bad history whitewashing Asians such as breakfast at Tiffany's and the Conqueror. However, it seems in comic, sci-fi, fantasy and other circles which have been good at calling out these rather racist and stupid tropes seem to care less when it comes to Asians being whitewashed, even here on Observation Deck. Some even go to extremes of defending it. Using sayings like whites have more universal appeal and it's just easier to cast whites as Asians or making wild loops of logic (like the upcoming Ghost in the Shell film). These are the same excuses we mock executives and film makers when it comes to black characters being whitewashed but are now suddenly acceptable. It's not just with the Edge of Tomorrow either, the Hitchhiker's Guide to the Galaxy is also guilty of this. Trillian was played by white American actress in both the TV series and the film despite the character, though born in Britain, being of Middle Eastern descent. Yet nobody ever seems to mention this or get annoyed by it. Then you have superhero films like the Nolan batman trilogy where both Talia and Ra's Al Ghul were both white washed and though there was some ire, it was far less then the uproar of Electro being black (despite already being black in the Ultimate books), Perry White and Heimdall. Speaking of the Thor films, why is it that Hogun, the only Asian asgardian is basically told to piss off in the second film and is not allowed to participate in the plot? Why did they feel the need to get rid of him in particular and why did no fans seem to care? These aren't the only ones, 21, Prince of Persia, Cloud Atlas and others are also very guilty of this but all seem to get free passes in nerd circles after some initial groans. Even upcoming films like the Ghost in the Shell remake is getting praise from news sites despite whitewashing Motoko Kusanagi with Scarlett Johansson. Did Ghost In the Shell Swap Out a Suicide Squad Member For an Avenger? Hell, the only two major ones that people seem to do call out are Dragon Ball Evolution which rightfully deserves it for whitewashing Goku and the Last Samurai. But why is this. Why are excuses that we call out on films like Noah and Exodus suddenly acceptable when directed towards whitewashed Asian characters? Why is it that film and sci-fi buffs are more okay with ignoring whitewashing of Asian characters?